Here's a Chardy worth getting excited about. A serious step up from its sibling in the range, this smashes the high hats with gusto. My first look at a wine from Jim Brand and I like what I see. Interestingly, the Brand's are some of the largest land holders in the Coonawarra region - I always like finding out little bits of info like that. Fresh and youthful, a Chardonnay that wants the street style chic but just doesn't land it. Acidity is alive though it's a bit thin in the fruit department. Melon and watered down white fleshed nectarine do show but the delivery is a little bitsy. Fruit comes, light oak saunters by then acid rushes in and clings on. I can see where this wants to go but the tyres just seem a little deflated. I suspect this would drink better with food. I popped in to Red Hill Estate for a quick looksy while in the neighbourhood a few weeks ago. It was my first time there and I was impressed. A great set up and wonderful view overlooking the vines and Phillip Island in the distance. The staff were very friendly and knowledgeable too which makes the experience better. Nice work team. I stumbled across this in a well stocked bottleshop in Blairgowrie (Mornington Peninsula) so I couldn't resist having read much about these wines. And it stacked up too. The search of something with richness and interest doesn't need to blow a hole in the wallet. This Viognier Marsanne blend (58/42) ticks those boxes with ease. Four percent underwent wild fermentation and 14% of the Viognier saw old American and French oak. A refreshing drink to put some chill into a sweltering day. Sourced from the Adelaide Hills, it sits on the tropical fruit spectrum of Sauvignon Blanc steering clear of the grassy and herby types. Firm acidity drives through cleansing the mouth - the fattiness of fish and chips would match a treat. Some phenolics linger to finish. Good going. Run to this. And fast. Super refreshment guaranteed. 'Tis the season for sparkling Shiraz. What a piece of Australiana it is. As mentioned in a previous post, it is such a versatile drink - aperitif, with a meal (Christmas lunch is a special), or even with dessert. I tested the boundaries further and had it in the pool watching the last session of the day/night Test. And not surprisingly, it was a neat fit there too! Attractive aromas here of white stone fruits, mead, honeyed tones and a sliver of ginger. 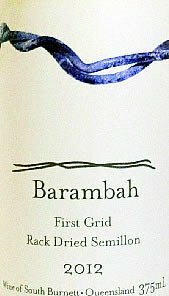 From Bendigo in Victoria, the fruit in the mouth comes across a little heavy and seems offset from the pleasant whiff that comes before it. A little spice tingle to finish. A label taking fruit from a variety of regions. This comes at you on the front foot. Firmish delivery - melted butter on toast, peachy. Some textural interest evident but there's a warming sensation in the mouth which pegs it back. Pithy lemons and grapefruit acidity tie it together. It just seems like an effort to get through a glass mind you despite the highlights. I've seen this listed in a few places on premise and it's easy to see why. A solid drink and a decent food match, this Shiraz is a neat intro to the famed Barossa variety without wielding a big stick nor weighing down the wallet. This has got me thinking about osso bucco or a ragu. Quite a satisfying drink. Pale morning sunrise appearance glistens in the glass. Those new to Chardonnay would be happy getting knee deep here. Whilst the fruit is bright and fresh, a wisp of oak keeps an even keel without arresting away the attention. Happy hunting here for GSM fans. Raspberry coulis, tinned plums, strawberry jam, dark chocolate all in sync and in cruise mode. Mocha type oak adds another layer. Firmish acidity frames is nicely but the deep fruit keeps chipping away. Moreish and delicious. Bone dry delivering dark cherries and cherry vodka type flavours. Some strawberry eases in. Well made but nothing to make me want to go dancing in the streets. Get on board here folks - damn this is impressive Sangiovese! I just want to do a forward flip with pike into it. Delicate floral aromas of violets and purple flowers get things underway. It's pretty and nimble on its feet too. Vibrant, its youth is telling but its sheer drinkability is outstanding. I felt compelled to see out the last drop before the brother-in-law intervened. A blend of a number of vineyards, no herbicides or pesticides are used. Sam Coverdale's long term aim is to head down the 100% organic road. One of my lasting memories from a trip to the region a few years ago was the forthrightness of all winemakers to alert us to the Pinot clones being used as soon as we walked through the door. MV6 and Pommard are the specials in the region but no less than seven clones contribute to this wine. Gee this is good. Really good. Super fresh but I get a sense it's holding something back. It took about ten minutes for it to get comfortable and reveal its personality - not a bad thing I suppose. Gee I love the individuality of this label. Quirky, funny, clever. Good gear inside too. All too often the labels a little left of centre can't follow through with the contents. You'll be pleased to know that this Sauv delivers. Comes in a cool bottle with a big booty just like Kim Kardashian - but this is classier. Way classier. There's something about sparkling Shiraz that offers so much appeal. Drink as an aperitif, with a meal or sip alongside some dessert or a cheese board. Rich delivery plus a lick of sweetness makes for a perfect combination to throw down the welcome mat for versatility. I've seen this label thrown around on social media for a couple of months - it looks great and certainly has great shelf appeal. Sitting in a bar I saw this in the fridge so the transaction was made. Hand picked and rack dried for five weeks, the dried fruit was then re-fermented with dry Semillon wine in old French oak. A delicious dessert wine, dried apricots, caramelised peach and honey tones. Long to finish with moreish appeal, a cheese board would sit comfortably by its side. Drink now but will continue to develop more concentrated flavours with time in the bottle for 10+ years. Sitting slightly on the old school side of the ledger on the Chardonnay spectrum, this is great buying for the money. More and more Canberra wines keep coming across my bench and I've got to say the quality and consistency continues to impress. The cool climate Syrah particularly lots of appeal. Here we go again. Cracking value for twenty bucks. It sells like a Datsun and drives like a Lexus. Scooping the pool at the 2016 NSW Wine Awards, this super value Shiraz bagged three trophies. Handy effort. I tasted this along with a few other Pinots. Similar vintages but varying price points. Compared to the TMBT 10X which shoots for the same money, I like the shape of this that bit more - more meat on the bones so to speak. It's a bit rustic but a bit refined all at the same time. A delicate spice is interwoven yet it doesn't wrestle the attention from the fruit. Good weight in the mouth with a persistent fruit drive keeping me keen. Oak is played well but the mid palate interest has me coming back for more. This puts many entry level Pinots to shame. It's bright, forward and dances on its toes. Light but pristine through the mid palate, there's some acid crunch with neat consistency from the red cherry and berry tart fruit hugging the rails all the way to the post. Smart Pinot to be had now to the next five years. From the Lockleven vineyard planted in 1973, this is the first single varietal release of Pinot Noir from Meerea Park. Pinot is usually blended away with Shiraz but after a wet start to 2015, this Pinot parcel was seen to be the best and it just seemed right for it to stand on its own two feet. Smells inviting - lots of red and purple fruit filling the air as I swirl the glass. Not complex just a straight up and down drop offering good, reliable drinking. Soft in the mouth, it's good value for asking price. Chill slightly to offer even more enjoyment and versatility. Another reliable offering from the Long Row range. Blue and black fruits are flanked by dark chocolate. A lick of cassis parades through with ease. Puckering in the mouth, it's drying to finish. A good barbecue option for a penny. I remember having a chat with a Mornington Peninsula winemaker a couple of years ago. Among other things he simply said that when the Hunter Valley has a great vintage Victoria generally has a dud. Fair enough but interestingly the theory sticks here. Less than a tonne was picked per acre in this case. Much of the single vineyard fruit has been declassified to this Estate label for 2014. This is bloke's juice. Pardon the political incorrectness but this is ideal for a group of mates catching up with a slab of beef not far away. There's not much Marsanne or Roussanne in the Hunter Valley. There's bugger all really. This fruit comes from the Lockleven Estate - Meerea Park are renowned for sourcing fruit. Pop 'Family Reserve' onto a label and you can expect the price to be jacked up a bit. Not here with only 25 bucks called for. Cool and crisp. Dry and moreish. There's plenty of smart Rosé on the shelves and here's another. An interesting blend but it just works. Natasha Mooney is at the helm here and I like what I see - 100% whole bunched pressed Pinot Gris thank you very much. Faint bronze in appearance with plenty of aromas here to treat the senses. Frangipani, white flowers, honeysuckle, poached pear and custard apple. There's a lick of sweetness but in the mouth it is quite textural due to some time spent on lees. There's good weight to it but it's not on the heavy side. I'd easily have a glass. In fact, I snuck in a second pretty easily. I first saw this wine from the 2014 vintage. Whilst the contents are good, I'm not convinced by the label. To be honest, it looks like a cheap supermarket 'homebrand' label than the more classy $30 market it is pitched for - the price has gone up five bucks since 2014 too. Put organic on it and the doors open to a new audience I suppose but you can be the judge. A new release under the old label - I prefer the old look much more to the revised version, but that's just me. The fruit is sourced from Mudgee and made by Liz Jackson at the First Creek winery.